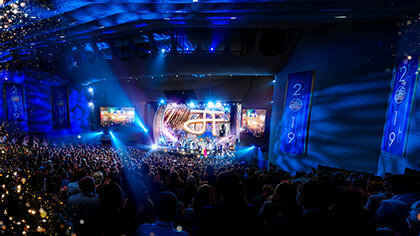 David Miscavige releases L. Ron Hubbard’s Basics Books and Lectures of Dianetics and Scientology before tens of thousands at an internationally broadcast event in 2007. In 2007, David Miscavige stood before Scientologists gathered from around the world for a much-heralded occasion. What he was about to describe was “the recovery of Dianetics and Scientology”—an event, he said, that would “change the world of Scientology forever.” Over the next several hours, he recounted the complete story to an audience of thousands gathered in Clearwater, Florida’s Ruth Eckerd Hall. 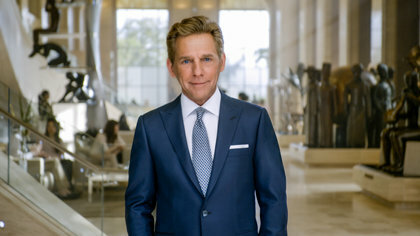 Mr. Miscavige described in detail the research project to ensure the purity of all Scientology Scripture, found in the writings and recorded lectures of L. Ron Hubbard. A challenging task had been undertaken: to locate Mr. Hubbard’s books, verify existing texts against those originals, correct any errors or deviations, and return them to their original, unadulterated form. Deviations from the original manuscripts were immediately discovered to be far more extensive than imagined: transcription and punctuation errors of every variety, chapters bound in wrong sequences or even in the middle of another chapter—not to mention the “handiwork” of a publisher who removed paragraph breaks to reduce page count. Mr. Miscavige recounted a notable instance of the project to recover the technology. When the page count of a book did not match up to the number of dictation recordings on hand, researchers again scoured through the archives and found three long-ignored vinyl dictation disks marked “UNK” for “Unknown.” Locating equally long-obsolete replay equipment, they found the recordings contained two additional chapters of Mr. Hubbard’s 1948 manuscript for Dianetics: The Original Thesis. The dictation also showed that other chapters had been printed in the wrong sequence since first published. The entire manuscript had to be corrected and completed. Today it stands as the first and most basic statement on the nature and function of the mind. In the ensuing years, every word and line in every L. Ron Hubbard work was researched, verified or corrected to ensure absolute purity. The standard set by Mr. Miscavige was perfection, the only standard suitable for the works of L. Ron Hubbard. Every word and line in every L. Ron Hubbard work was researched, verified or corrected to ensure absolute purity. Following that prodigious editorial undertaking, each of the 18 books was meticulously designed, typeset, printed and bound to achieve the highest level of readability, comprehension, quality and durability—not to mention sheer aesthetic considerations. From this monumental undertaking came an equally dramatic achievement: recovery of lecture series corresponding to each book, 280 lectures in all. Each lecture series was produced with verified transcripts and supplemental references, as well as a detailed glossary, defining words as Mr. Hubbard used them to ensure understanding by any listener. Every book and lecture was then reproduced and released in the world’s 17 major languages. Together, these books and lectures are known throughout the Scientology world as “the Basics”—comprising the foundational materials of the Scientology Bridge. This monumental process brought into existence only the exact and pure Scientology Scriptures as authored by Mr. Hubbard. The release of the Basics Books and Lectures meant that every Scientologist could now study the foundation of the Scientology religion easily, rapidly and in complete chronological sequence, gaining an unprecedented understanding of the religion and its application to life. As one measure of its impact, in the 50 years prior to the release of the Basics, 39 million copies of L. Ron Hubbard’s written and spoken works on Dianetics and Scientology were in circulation. In just the first two years after their release in 2007, more than 60 million copies of the Founder’s Books and Lectures were distributed. With the Basics available in 17 languages, and the most fundamental of them in 50 languages, the number of Dianetics and Scientology translations over the last decade reached 10 times the previous five decades. But the real significance of the recovery and restoration of Dianetics and Scientology materials could only be measured in terms of the changed lives of individuals. The Basics Books and Lectures contain principles that millions have subsequently applied to achieve their most cherished goals of spiritual renewal.